Jude could think of only one thing worse than the predicament they were in. And it had horns. Gargoyles were never meant for Hell. As guardians to the portal between the realms, they live hundreds of years and are powerful beyond measure. But Jude and his sister, Willow, suddenly find themselves prisoner in the hellish Shadow realm, facing demons, fallen fae, and an incubus that won't take no for an answer. Dimensions apart, Ian wars with what his heart demands versus what his title dictates. He would cross through Hell and back for Kami, but will he sacrifice everything, including his soul, to be with her? 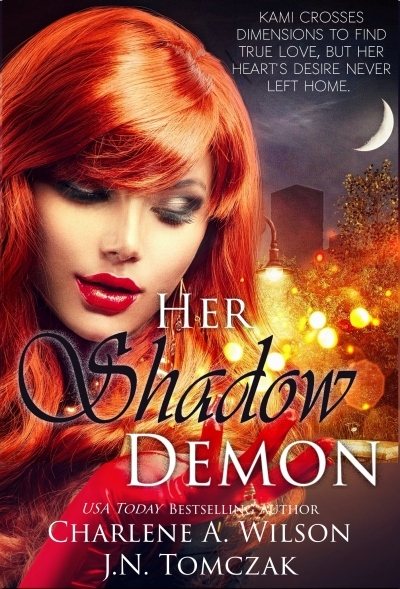 Fates collide in Her Shadow Demon, and only one side can find redemption.